Though by many accounts the situation in Syria's south is stabilizing as the government is fast securing the border with Jordan after a major offensive against FSA, al-Qaeda, and ISIS factions in the region, the possibility for further clashes between Israel and Damascus remains high, as we previously warned here. In the past months there's been widespread reporting on a "secret" deal brokered between Russia, Israel, and Syria, which reportedly involves the Syrian Army agreeing to keep Iranian forces away from the ongoing campaign along the Israeli and Jordanian borders, especially the contested Golan Heights. However, Israeli media has this week highlighted statements by a top Islamic Revolutionary Guard Corps (IRGC) commander that suggests further open hostilities between Israel, Syria, and pro-Iranian forces could break out at any moment as the IRGC has vowed to "break" Israel's presence, especially along the Golan. Ahead of a summit between Israeli Prime Minister Benjamin Netanyahu and Russian President Vladimir Putin set to be held Wednesday (July 11) in Moscow, Netanyahu reiterated what will likely be a key demand as he meets face to face with Putin: “We will not tolerate the establishment of a military presence by Iran and its proxies anywhere in Syria – not close to the border and not far away from it,” he told reporters over the weekend. 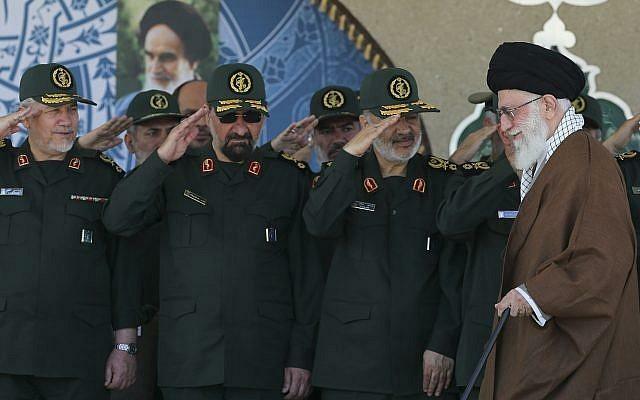 Deputy Commander of the Revolutionary Guard, Hossein Salami, second right at a May 2015 IRGC military ceremony. In a recent speech, IRGC deputy commander Hossein Salami boasted of the creation of an “Islamic army” near the Israeli-occupied Golan Heights, which he warned threatened to “end” Israel. “Today, an international Islamic army has been formed in Syria, and the voices of the Muslims are heard near the Golan,” Salami said, as quoted by the Times of Israel. “Orders are awaited, so that…the eradication of the evil [Israeli] regime will land and the life of this regime will be ended for good. The life of the Zionist regime was never in [so much] danger as it is now,” the officer added. The IRGC officer also warned that Lebanon’s Hezbollah militia, which is participating in the war in Syria against Islamist militants, has some 100,000 missiles aimed at Israel. “We are creating might in Lebanon because we want to fight our enemy from there with all our strength,” Salami said. “Hezbollah today has tremendous might on the ground that can on its own break the Zionist regime. The Zionist regime has no strategic-depth,” he added. On Sunday night, Syrian air defenses thwarted a missile attack on the T4 airbase in Homs province launched from south of the US-coalition controlled at-Tanf region in southern Syria. A source in the Syrian military has told media that the attack was perpetrated by Israel, although the IDF has yet to comment on the claims. 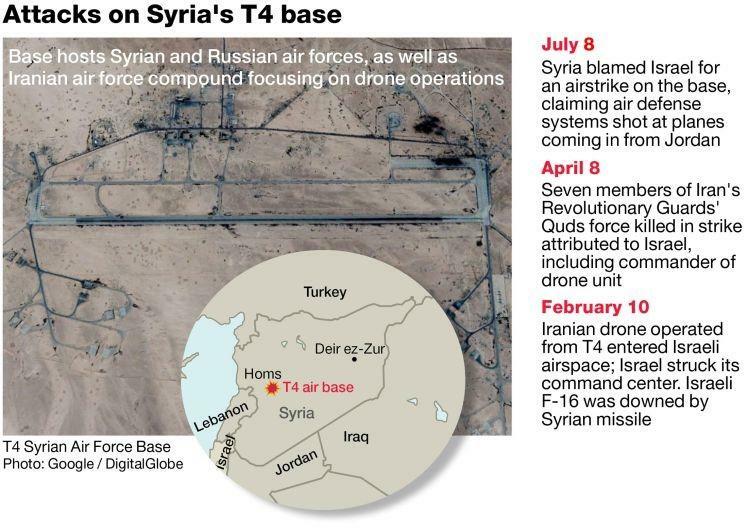 Israel boosted its operations in Syria this spring, killing at least 4 Iranian military advisers at the T4 airbase in a strike in April. On May 10, the Israeli Air Force hit dozens of suspected Iranian targets in Syria following a rocket attack on IDF positions in the Israeli-occupied Golan Heights. Damascus slammed the move, saying it was a violation of international law. Iran called the attack “Israeli aggression” and vowed to respond.